I have written a few novels and a lot of plot coaching books. 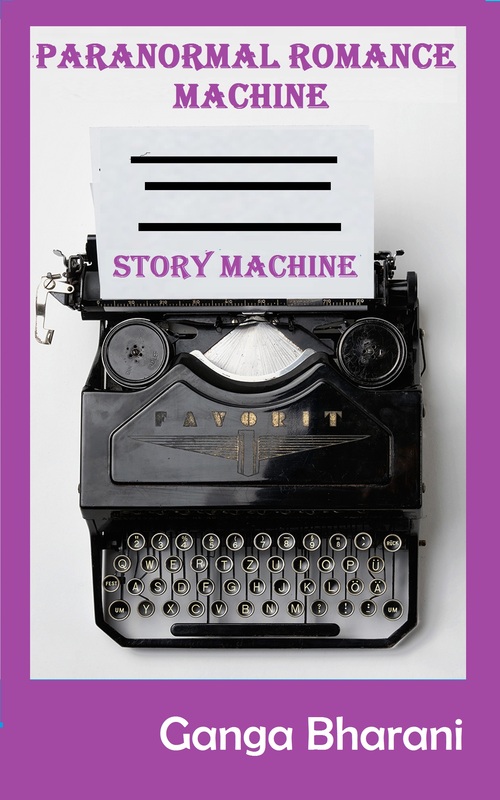 I am a plot coach with a target to help 100 authors this year with their story building and publishing processes. To get your first free session booked, write to gangabharaniv@gmail.com. As writers, we all want to tell stories and keep the readers engaged. 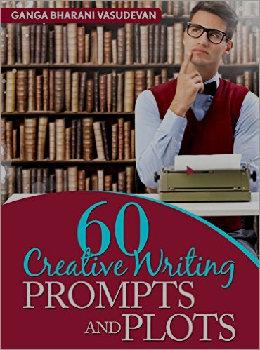 In this book you will find 60 prompts. This is not like the other prompt books that you find in the market where they just list one liners as a prompt. 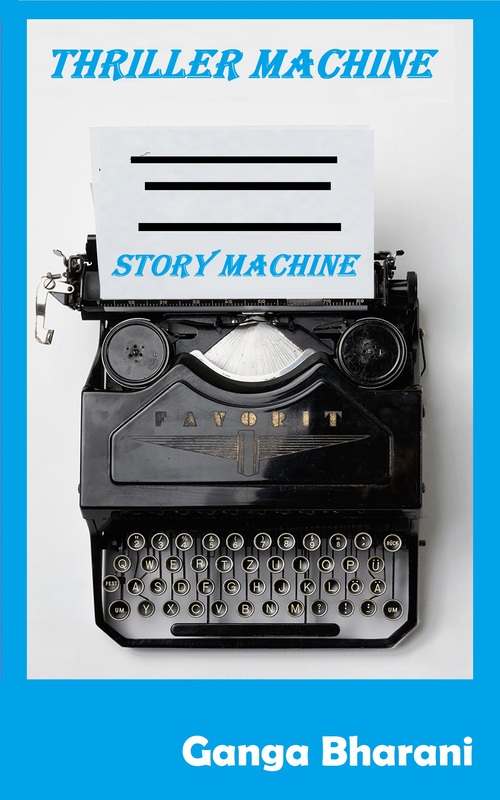 In this book you will be given prompts or plots and ways to develop them into various genres. These prompts will not just create a spark in you to create your own story but also guide you to twist and turn them into a story you will be comfortable writing. Every story is a collection of words put together in the right order with a hand full of punctuations here and there. When it’s a love story there can only be two people falling in love, either happily end the book or make it a tragedy. But then how can each story be different from the other? It’s the characters, setting, plot and the order of happenings that make one story different from the other. That makes every one of you develop a plot into a story that’s entirely different from the other. This book will provide you with a list of creative plots that can be twisted and turned into several stories. This book will serve as a story guide. 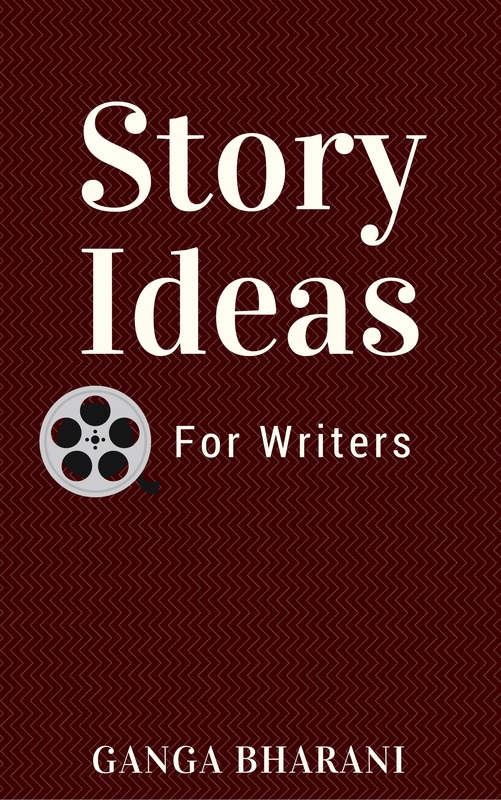 This book has 1000+ story ideas. There are 80 prompts and the ways to twist them into different genres. Also has prompts for genres like Romance, Paranormal, Horror and so on. This has enough ideas to serve you for the next few years. A collection of romance prompts that can server as story seeds for you to build a story with it. You are free to use these prompts. 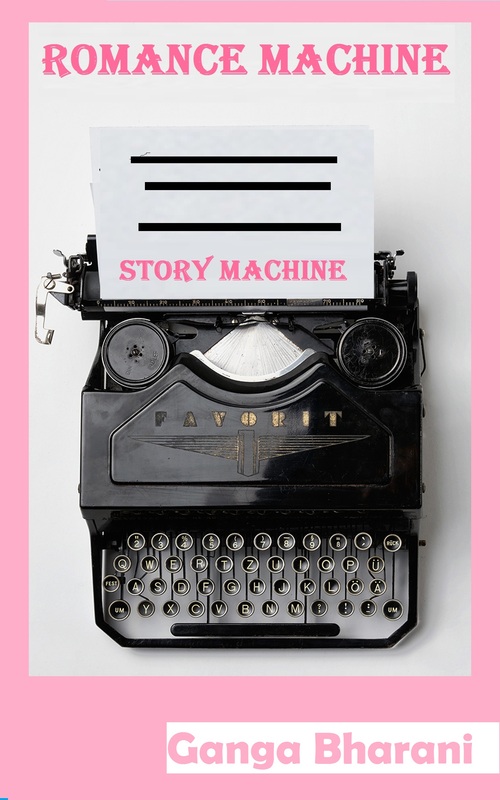 Write your next romance best seller with the help of this book. A collection of horror prompts that can server as story seeds for you to build a story with it. You are free to use these prompts. Write your next horror best seller with the help of this book. A collection of thriller prompts that can server as story seeds for you to build a story with it. You are free to use these prompts. 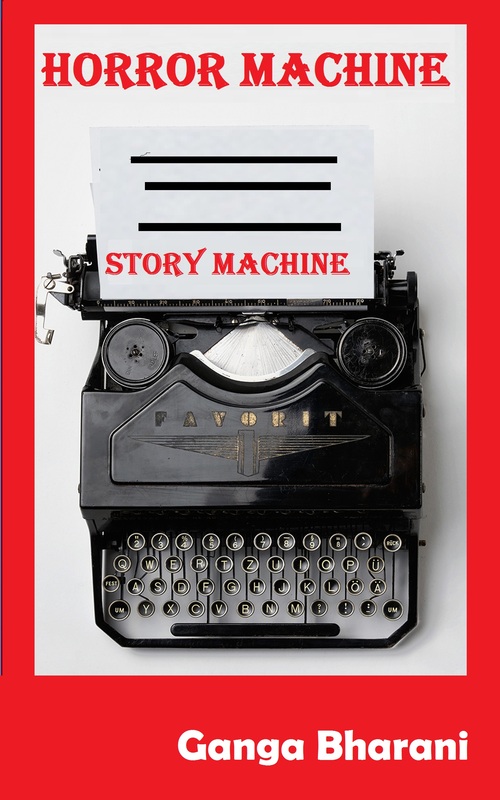 Write your next thriller best seller with the help of this book. A collection of paranormal romance prompts that can server as story seeds for you to build a story with it. You are free to use these prompts. Write your next paranormal romance best seller with the help of this book.An analysis of the subcategories under paranormal category in amazon is included. 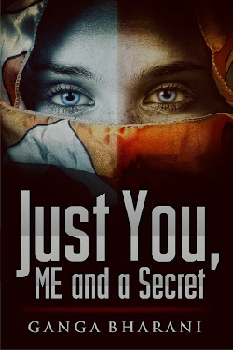 Amnesiac Meera wants to discover her past. Engaged to Ashruth, who is also her doctor, she is tempted to run away and forge a new life as she wonders how she ever fell in love with him. Starting life afresh, she decides to give him a chance and explore more about her past in the meanwhile. Reading a diary that she had written before the accident, she learns why she fell for Ashruth but her feelings seem to have changed now. She learns that her dad, Prabhu, is a rich business man living happily with her mom, Nadhiya. Most of her diary pages are filled with memories of Santhosh, her cousin. As she reads about Santhosh and his role in her past life, she starts to like him. Ashruth decides to leave Meera at her parent’s residence until their wedding, which is a month away. He tells them that she is like a blank paper and anything that affects her will get imprinted in her. Like a book or a movie, if it affects her deeply, it might make her assume it’s her past. Though she is introduced to her mother and father, she finds herself incapable of trusting them. Santhosh, her cousin, grew up in her house as he had lost his parents to a car accident at a young age. She understands from her diary that he was her best friend, right from childhood. As she browses the old videos and photos, her admiration and respect for Santhosh are rekindled. She doubts whether she was in love with Santhosh and whether she has carried her love from her past. Will she call off her wedding despite knowing the societal consequences? Will she fall for Santhosh? What if she is married to one of the two and gains her memory later? If she was actually in love with Santhosh, why are people hiding it from her? Arjun, an employee of KT Towers, pressed the elevator button and was waiting for it in floor six. There was a power cut, two different screams were heard. Power resumed. 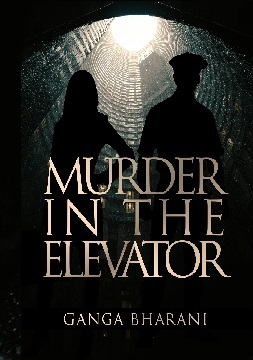 When the elevator arrived and the door opened, he saw Vicky, the CEO, lying in a pool of blood. Geeth, Vicky's secretary, was inside the elevator. The weapon used to slit Vicky's throat was not found. Geeth claims to be innocent. Could someone get into a closed elevator, during a power cut, to kill someone? Even if so, how could the person escape from there within five minutes without being noticed by people or the CCTV? Kushal, a cop, tries to uncover the mystery behind this murder with writer Diya. Eventually, they fall in love. 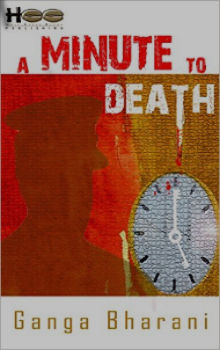 A murder mystery with an undercurrent of a beautiful romance between the cop and the writer. Kushal, a cop, and his girlfriend, Diya, a writer, try to solve this murder mystery. Young, vivacious and an aspiring writer, Riya wants nothing more from her longtime crush/boyfriend than to let her in on one of his exciting investigations. After all, what better source material for a book than a real life tragedy? No-nonsense veteran cop, Rohan picks a case of probable suicide to satisfy Riya's needs. Little does he know that there is more to this case than meets the eye. What made the victim hang herself at the break of dawn? What is the secret that her group of friends is hiding? Will Riya be able to salvage a workable plot for her upcoming novel out of this case of seemingly simple suicide? How many years did you have to wait to find true love? Avanthika didn’t have to wait too long. She met Gautham right at the age of ten and fell in love with him right at the first sight. She had no idea the way this guy was going to change her life. (Gautham: Come on! Any relationship with a girl be it love or marriage, changes guys’ life not the girls’. Ask any man out there and edit your blurb accordingly. 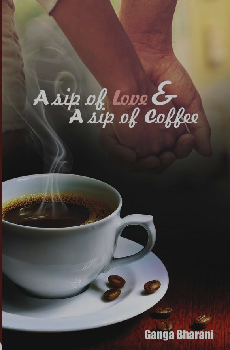 Author: Relationships change people and when it is love or marriage it brings in a positive change to one’s life. I was trying to hide the quarrels that we had throughout the book from the readers but you did not give me a choice. Now, jump into the book or you will be found and replaced throughout the book by a different guy. ) Avanthika was a love-one-guy-all-through-life kind of girl. Gautham was love-a-girl-sincerely-then-move-on-to-the-next-and-start-being-sincere-allover-again kind of guy. Though they were poles apart, no one could imagine them without each other. They remained such close friends for years together. Before she could express her feelings to him at the age of sixteen, he proposes Avanthika’s good looking close friend. And before she could digest this, he breaks up with her and proposes Avanthika. Though he isn’t sure of anything they get into a relationship. Eventually he falls for her. Will they retain the love till they become adults? Will maturity kill their puppy love? Will they move apart with the tide of time? A story of how a puppy love transforms into a strong relationship as it collects maturity in its journey with time. Ganga Bharani is an Engineering graduate who chose to write books like many other Engineers turned writers. Having published three novels, she is currently writing her fourth sitting in Chennai, an Indian City. 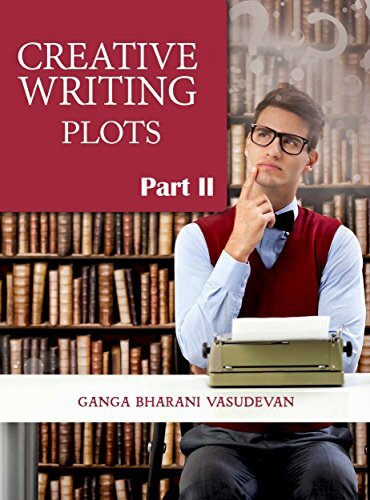 Plots and prompts rushing to her are penned down into a series of books titled ‘Creative Writing Prompts and Plots’. 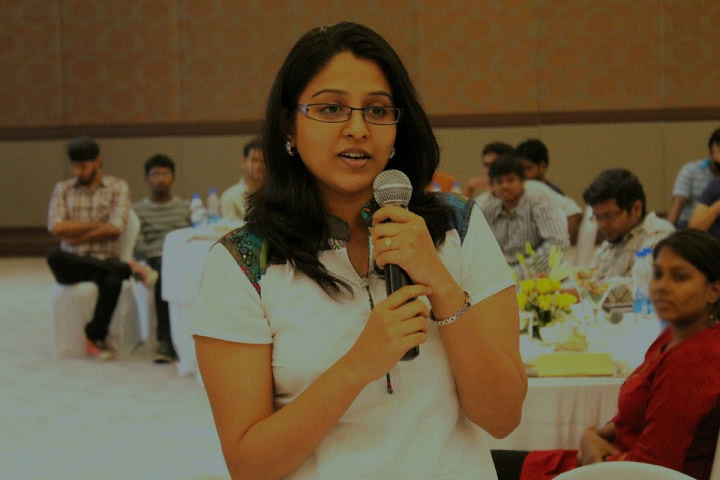 She started her writing career with opinion pieces to newspapers, then tried her hands at blogging, which led to her winning the BEST URBAN CHENNAI BLOGGER Award. Her playful attempt at making short films has churned out ten such short films about social issues. Two of her short films about inclusion of differently abled won Best Film Award and Special Mention Award at WE CARE international film festival. She is now into script writing for feature films and web series. She also works with an unicorn product company as a consultant. Copyright © Scribbled by GB - 2018. All Rights Reserved.